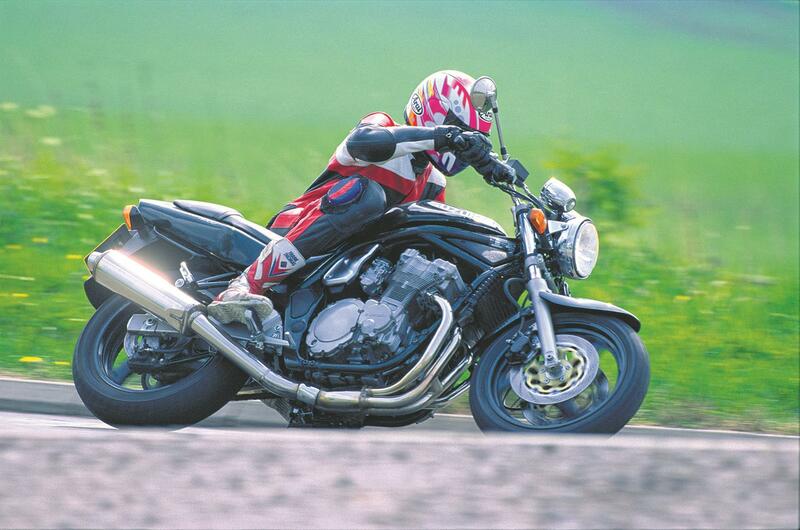 You absolutely can’t go wrong with a Suzuki Bandit, assuming the thing hasn’t been owned by a meathead! The nice thing about Bandits (also known as Bindits because so many people did) is that they’ve been around for about a quarter of a century now and there really is a model for every pocket. The early 600 and 1200 models (forget the 400) were really just parts-bin specials. Suzuki mixed and match a load of cheap components, and the engines were just adaptations of earlier designs – but somehow it all worked and made for a bike that was so much more than a sum of its parts. Things like suspension and brakes were fairly basic to help keep the cost down. However, later bikes are better built with improved ingredients. Still, this makes the early ones cheap and project 600s go for as little as £400. Starting prices for a stock-ish oil-cooled 600 from the late 1990s are around £600-£700, but if you want something sound, you should budget for £800. If you want more ooomph the early 1200s start at about £1000, but add £300-£400 to that for a decent one. If you’re looking at the upper end of the market and the water-cooled bikes, then budget £3000 for a 1200 or £3750 for a 1250. There’s no other bike that offers such value for money! And, for once, I’d say you don’t have to go for stockers. Everyone improves them in some way and just putting a Yoshi can on an early 1200 liberates another 15bhp! Just beware of streetfighters, which have invariably been crashed before the conversion was made and quite possibly afterwards as well. Avoid anything described as a ‘stunt bike’ too, because you’ll be buying into a whole world of pain.